I am for it. Parks tend to make the neighborhood and tie a community together (though not always). When done right, parks can be tertiary reasons for people to move to a particular area. 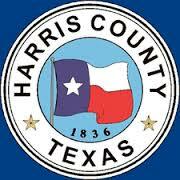 Businesses also take into account “the area” as part of the total package for why to relocate to Harris County. Thanks to the park crews of all four commissioners, Harris County already has many fantastic parks. This bond makes possible for these same precincts to continue growth/ planning for this region. The explosion of growth in the unincorporated areas of Harris County warrants the need for growth in all the amenities that make Harris County great. On the other issues, the county should have continued working with the city for a combined animal shelter, BARC just getting a major upgrade and now the county wanting $24 million to continue putting animals to sleep, merely waiting a little longer. The $64 million for flood control projects is not likely to make a big dent in the county wide problems but adding detention ponds and other related items makes sense. Too bad they didn’t make developers add them when it was continually suggested. The $700 million in roads and the like is tougher to gauge because they don’t tell you where the money will be spent or who they are going to enrich this time. The claim that almost ten percent of the funds will go to unnamed subdivisions is just a method to garner support, most of those voting should be told their subdivision is not on the plan. Just like the city, roads are falling apart all over the county from lack of maintenance, Judge Emmett trying to (laughably) get the city to do road work in the county per some of his recent speeches. My take is that if they aren’t willing to tell us which roads and bridges, we should deny the funds until they do so. I’m supportive of the roads, parks and flood control measures. Even if I won’t see a direct benefit as a CoH resident (roads/parks), it should make the region more attractive and improve infrastructure. More Flood Control infrastructure is needed. As you point out, the benefits of these haven’t been clearly articulated, which should have happened. I have real questions about the animal center measure. I don’t believe the County has articulated why this is needed, why they should spend millions more than the amount needed for the BARC facility (the bulk of which will be built via philanthropy), and why the City and County shouldn’t explore more coordination of efforts and current facilities BEFORE moving on this. I can be convinced, but pretty skeptical currently. I see the animal control activities of the City and County as a similar opportunity to the Joint Processing Center. I really think more work needs to be done here before asking taxpayers to fund a new facility. That said, there is no question that the current County facility is inadequate for the volume they see or for emerging thought on how an animal control facility should be organized to support the most efficient and humane operation. That number really ain’t $24M though. Maybe they are thinking of several whiz bang campuses?